1. It stands out - you won't miss this present on the gift table! 2. The bold stripe gros-grain ribbon gives the gift a luxurious feel. For me, the ribbon makes this gift wrapping. Keep your eyes open for interesting ribbons to use on future gifts. 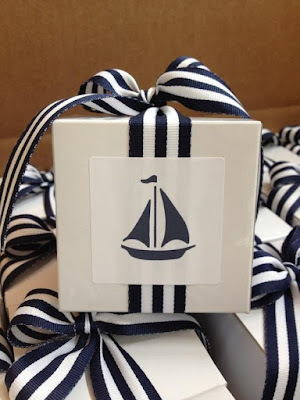 This proves that plain, inexpensive paper can be 'dressed-up' with a great ribbon. 4. You could substitute the black or white for other colours for a more tonal look, but the strong contrast between colours is what makes this wrapping style stand out. 5. You could apply any image to this gift - or remove the image completely. 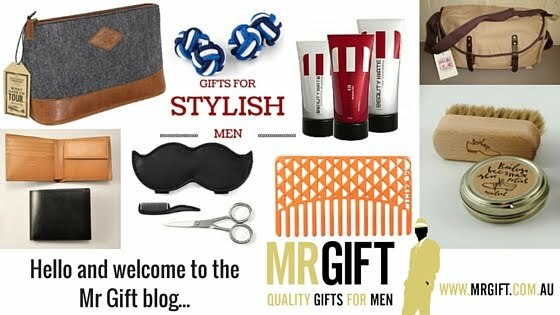 What sort of gift wrapping do you like to use for a man?